Luongo is in some pretty good company. More than a few NHL stars have eventually found their way back to teams where they’d made their names to spend their final seasons. Sometimes it worked out great. Sometimes it didn’t. First Time Through: Robitaille actually had a first and a second time through L.A. before his final comeback. He debuted in 1986-87 with a 45-goal season and the Calder as rookie of the year. Over eight years, he scored at least 44 goals each year and was named to the first or second All-Star team seven times. He was traded to Pittsburgh in 1994 and spent one year there before being dealt to the Rangers, where he apparently threw the only body check of his career. He made his first return to L.A. in 1997, playing four more years and making the second All-Star team as a 34-year-old. How He Left: By 2001, Robitaille had accomplished just about everything a player could, with one exception: He didn’t have a Cup ring. So he did what every legendary NHL player does at the end of their career, and signed a short-term deal to join the Detroit Red Wings. It worked, as his two seasons in Detroit included a Stanley Cup win in 2002. The Return: By 2003, Robitaille was a 37-year-old free agent and his production had dropped noticeably. He rejoined the Kings and played two more seasons, becoming the NHL’s all-time leader in goals and points among left wingers. His last game in L.A. came in 2006, so needless to say, Jeremy Roenick disco danced. The Legacy: He may have won his Cup elsewhere, but Robitaille will always be a King. He’s currently the team’s president of business operations. First Time Through: After establishing himself as one of the league’s better two-way players in St. Louis and Calgary, Gilmour made the leap into superstardom after a record-breaking 10-player trade sent him to Toronto in 1992. He set a Maple Leafs franchise record with a 127-point season in 1992-93 while winning the Selke and finishing second for the Hart. He followed that up with another excellent season in 1993-94, and the Leafs went to the conference finals both years. The seemingly innocent collision had shredded his knee. Half a game into his Toronto return, Gilmour’s career was over. The Legacy: This was the worst thing that ever happened. I’m still traumatized. That’s it, we’re doing another Leaf later in the post to make up for this one. I bet you can’t guess who! First Time Through: Hextall debuted in Philadelphia in 1986 and immediately established himself as one of the league’s most entertaining players. In addition to being an excellent goalie (he won the Vezina as a rookie), he’d also occasionally score goals and start fights. Oh, and he very nearly won a Stanley Cup almost single-handedly, earning the Conn Smythe as playoff MVP after a seven-game loss to the Oilers in the 1987 final. How He Left: Injuries and contract disputes became frequent subplots as Hextall’s career progressed (he missed almost the entire 1989-90 season), and in 1992 the Flyers included him in their offer to Quebec for Eric Lindros. The Nordiques accepted that deal … and also one from the Rangers. It took an independent arbitrator to sort out the mess, and he eventually ruled in favor of the Flyers. Hextall spent a year in Quebec as a member of the “He looks really weird in that uniform” all-stars, then was traded to the Islanders. The Return: After a shaky year in New York, Hextall was traded again, this time back to Philadelphia. He’d spent the final five years of his career as a Flyer, playing some of the best hockey of his career and posting the league’s best GAA in 1995-96. Also, this happened. So a mixed bag, really. The Legacy: Hextall went on to a successful front-office career with the Kings, and last year he joined the Flyers as their assistant general manager. First Time Through: Holik was originally a Whalers draft pick, but was traded to the Devils in 1992. He’d spend the next 10 years in New Jersey, establishing a reputation as one of the game’s best defensive centers while also chipping in with decent offensive totals. In addition to being gigantic and looking vaguely like Frankenstein’s monster, he was instrumental in helping the Devils win Stanley Cups in 1995 and 2000. How He Left: After reaching free agency in 2002, Holik signed a massive $45 million deal with the archrival Rangers. The contract was ridiculous, and became one of the deals frequently cited as an example of why the league desperately needed a salary cap. Devils fans were outraged, booing him whenever he touched the puck when the Rangers played in New Jersey, even (according to at least one recollection) pelting him with loose change on his way to the dressing room. Holik was an expensive bust in New York, and the Rangers used a buyout on him after the 2004-05 lockout. 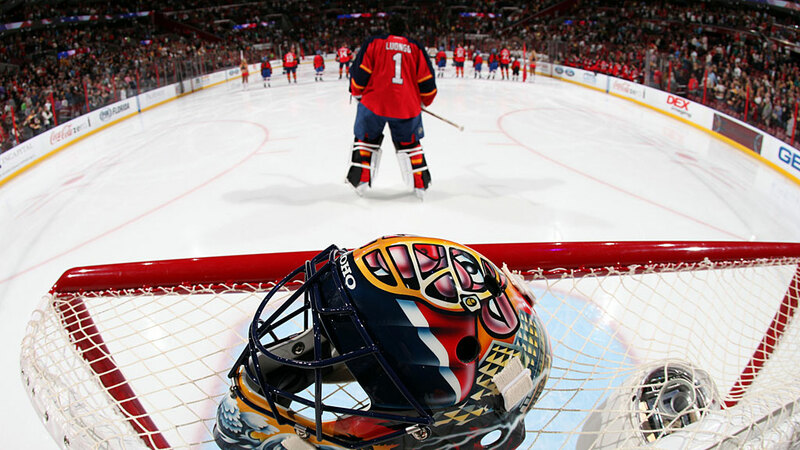 He signed with the Thrashers and played three seasons there before becoming a free agent once again at the age of 37. The Return: The Devils were ready to forgive Holik’s betrayal, signing him to a one-year deal during the 2008 offseason. The fans grudgingly went along with it, and everyone eventually agreed to forget the whole Rangers thing had ever happened. He played one more season, scored nine points, and then retired. The Legacy: I’m not sure what’s scarier: that the Rangers gave Bobby Holik $45 million, or that that’s not even close to the first contract that comes to mind when you think of terrible Glen Sather free-agency deals. First Time Through: Savard went to Chicago with the third-overall pick in the 1980 draft, two picks after the Canadiens infamously passed up the local prodigy to select Doug Wickenheiser instead. 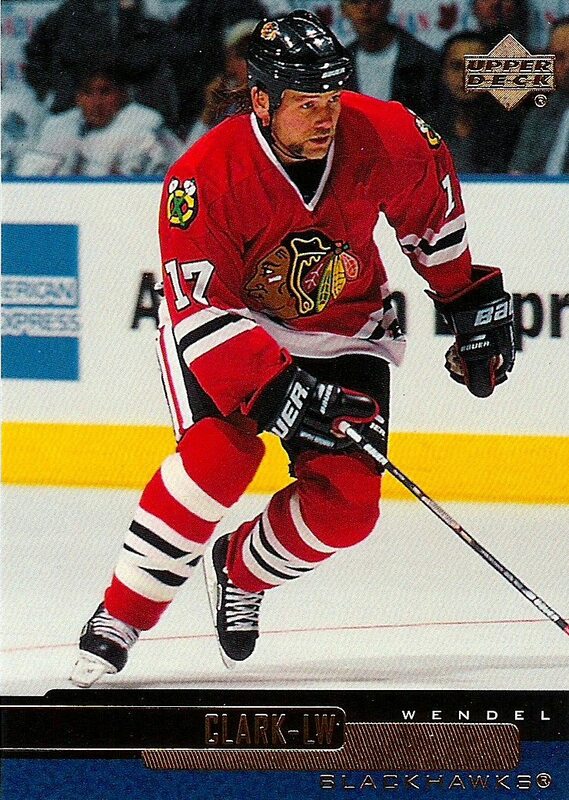 He made his Blackhawks debut that year and played 10 seasons in Chicago, during which he made five All-Star teams and established himself as one of the game’s most exciting players. He topped the 100-point mark five times, including a Blackhawks’ franchise record 131 points in 1987-88. As long as he wasn’t trying to fight, he was one of the league’s most consistent stars. How He Left: After a decade of hearing about how they’d screwed up by not drafting Savard, the Canadiens finally acquired him in 1990. He didn’t come cheap: He cost the Habs defenseman Chris Chelios, who’d already won a Norris and would go on to play in the NHL for two more decades. Savard was never much of an impact player in his three years in Montreal, though he was an inspirational piece of the team that won the 1993 Stanley Cup. He became a free agent that offseason and signed with the expansion Lightning. The Return: At the 1995 trade deadline, the Lightning sent Savard back to Chicago in exchange for a late-round draft pick. At 34, Savard was clearly in the “declining veteran” phase of his career, but he remained in the league until 1997. He ranks behind only Bobby Hull and Stan Mikita in all-time Blackhawks scoring, and was inducted into the Hall of Fame in 2000. The Legacy: When you have your own move named after you, you were good. First Time Through: Like Robitaille’s in L.A., Clark’s career in Toronto featured a pair of returns. He was initially drafted first overall in 1985, in the midst of the darkest days of the Harold Ballard era, and immediately became the team’s most popular player thanks to an offensive flair mixed with a brutally physical style. He was team captain by 1994 and had led the Leafs to back-to-back trips to the conference final. 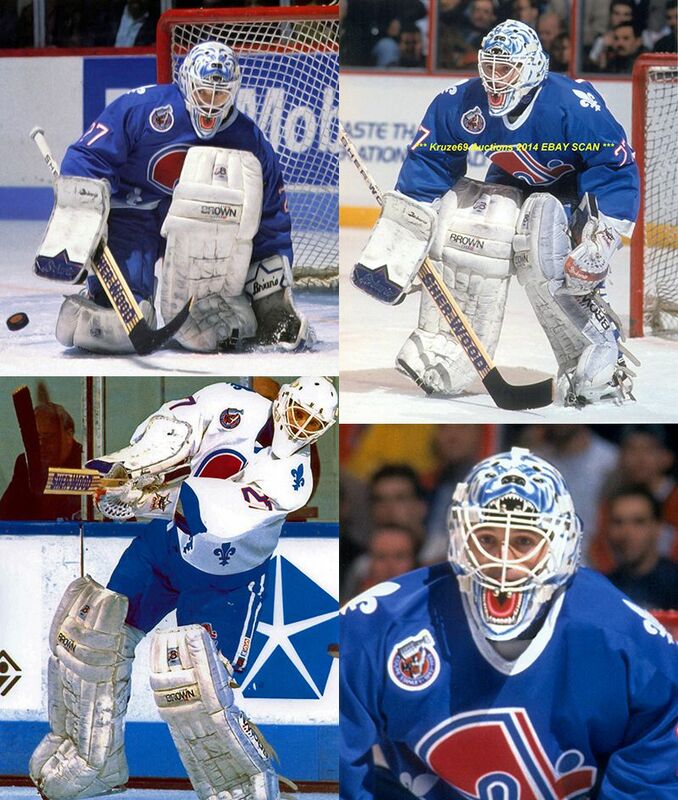 But in a shocking draft-day trade, he was dealt to the Nordiques in a package deal that sent Mats Sundin to Toronto. The trade was the first in sports history to feature a pair of former first-overall picks, and elicited this classic “ooohhhhh” reaction from the Hartford crowd when it was announced on the draft floor. In hindsight, the trade was a steal for Toronto, as Sundin went on to a Hall of Fame career. But Clark’s absence devastated Maple Leaf fans, and it seemed inevitable that he’d eventually return. That happened less than two years later, when the Leafs reacquired him from the Islanders. How He Left: Clark’s second stint in Toronto is often remembered as disappointing, as his body was breaking down and the team around him was terrible, but he scored 30 goals in 1996-97 before leaving as a free agent the following season. Nobody knows where he went. There’s a bunch of photos of him wearing other teams’ uniforms, but they’re all clearly terrible Photoshops. The Return: Clark returned to Toronto as a midseason free agent pickup in 2000 for what would be his final NHL run. After a poor regular-season showing, he regained some of his former magic in the playoffs, including a dominating effort against the Devils in which the Toronto faithful gave him one last standing ovation. The Legacy: If you need me, I’ll just be watching this 100 straight times and then bench-pressing my house.